September 30th, 2013 was the day that it all began. 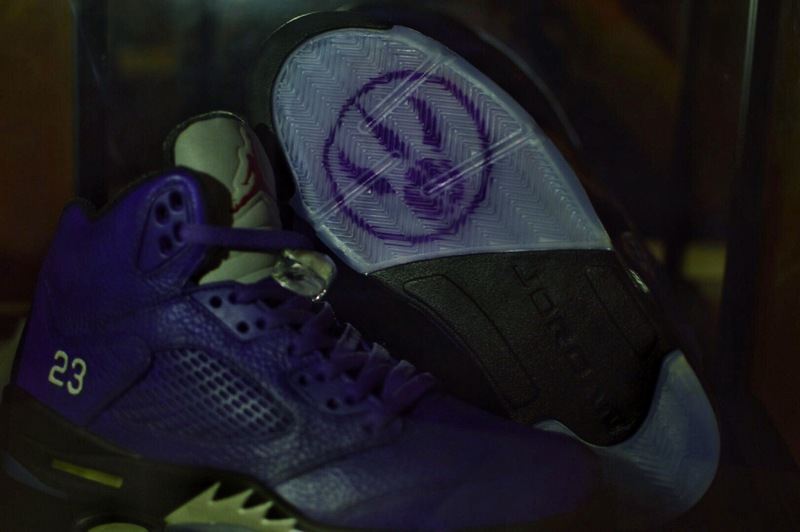 This day was the turning point where the NBA world began looking at the city of Toronto in a different light. Looking back at it now, the world had very few reasons to pay attention to the Raptors and the city of Toronto, at least from a basketball perspective, but this day changed it all. This was after the Raptors had just finished dead last in the Atlantic division with a record of 34-48, failing to make the playoffs again. This was before the Rudy Gay trade, before the city knew what “Drake Nights” were, back when Rob Ford was still the mayor of the city. The people from Toronto, even if they didn’t live there anymore, all felt a sense of pride that day as Deputy Commissioner Adam Silver announced Toronto as the host of the 2016 NBA All-Star Game, followed by the Raptors’ announcement of their new “Global Ambassador”, Drake. The city patiently waited for this enormous event since that day in late September and a couple years later, it finally happened. 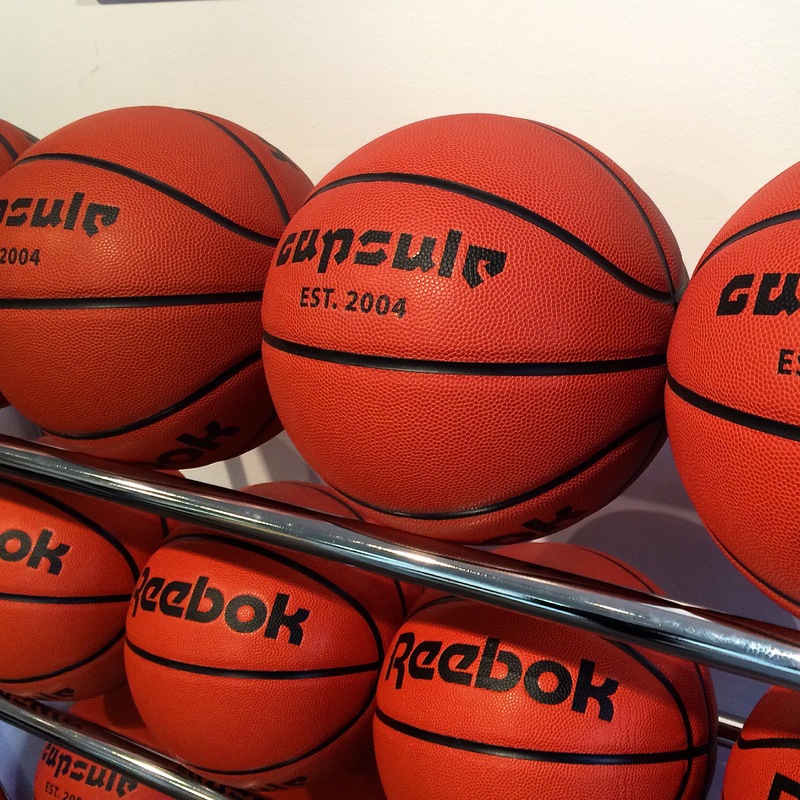 February 12th-14th, 2016 marked a historical date not only in Canadian history, but the history of the NBA as this was the first NBA All-Star event held outside of the US. 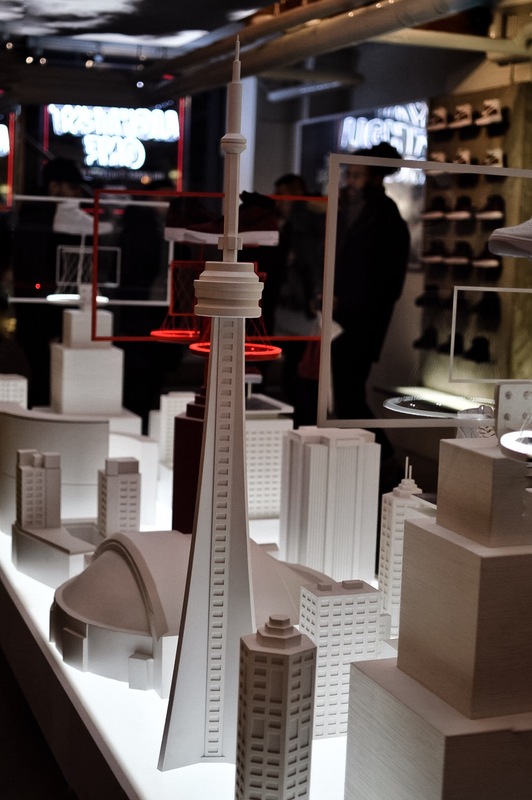 Not only were there an abundance of Torontonians throughout the city but an event of this magnitude attracted people from all over the place. Throughout the weekend we ran into individuals and groups from countless Canadian cities, but also American cities such as New York City, Chicago, Detroit and more. Cruising down Lakeshore early Friday afternoon and avoiding the madness that is the Gardiner was probably the best decision I could have made. 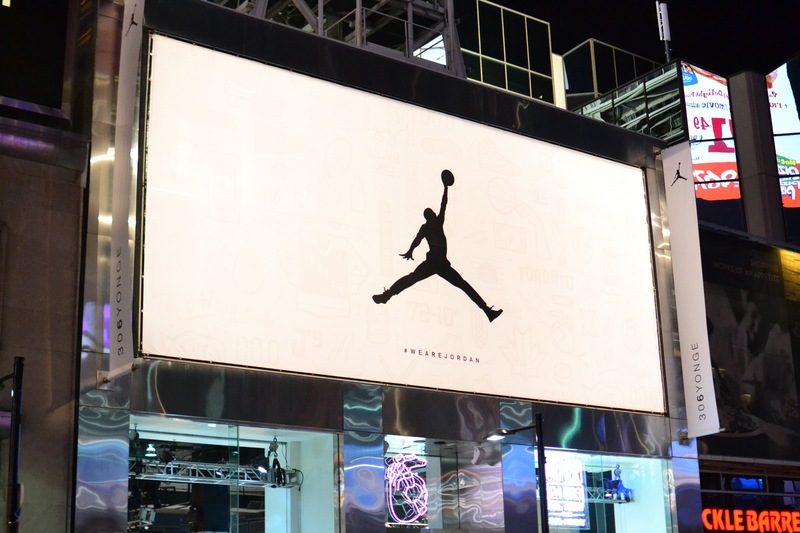 A quick walk by the Jordan 306 store on Yonge street and the size of the lines were mind blowing. 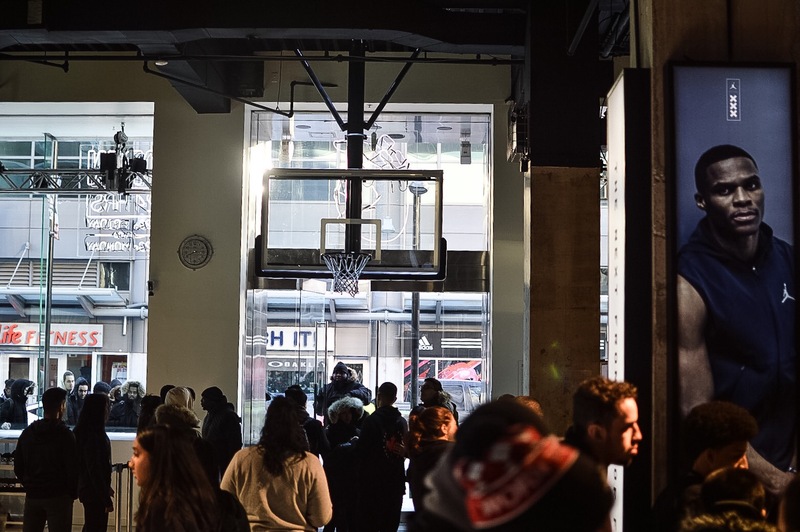 It was a good preview of what it would be like for the rest of the weekend and as much as I would have loved to join everyone else in line, I already had a full schedule for the day so I said goodbye to my chances of ever owning a pair of PSNY 12s or OVO 10s at retail. 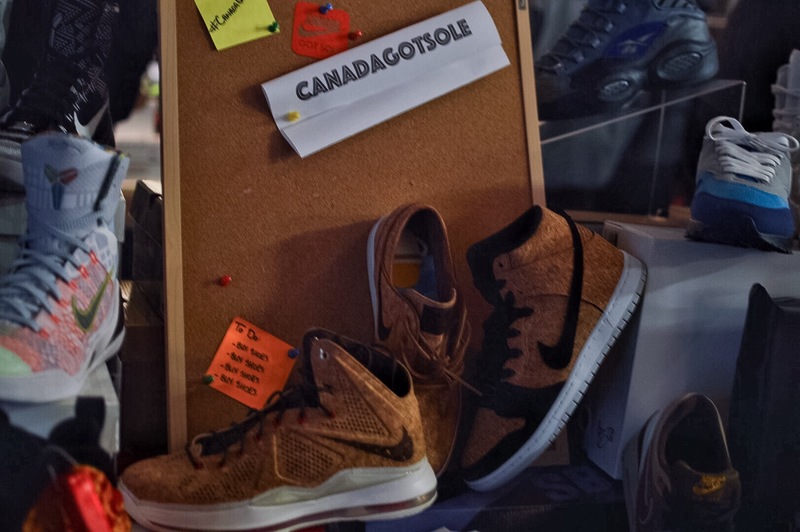 Sole Exchange Canada put on a great event with their All-Star Sneaker Social on Friday and the Ultimate Sneaker Show on Saturday. Much needed shoutouts to Dalton, Alvin & the entire team for all of the work that they put in! 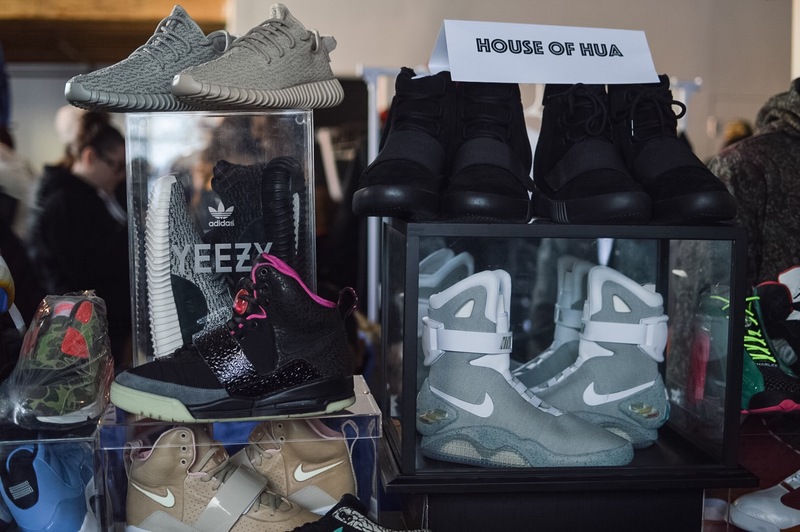 I was lucky enough to be in attendance for the Sneaker Social and there were numerous amazing displays, countless great people and good vibes. 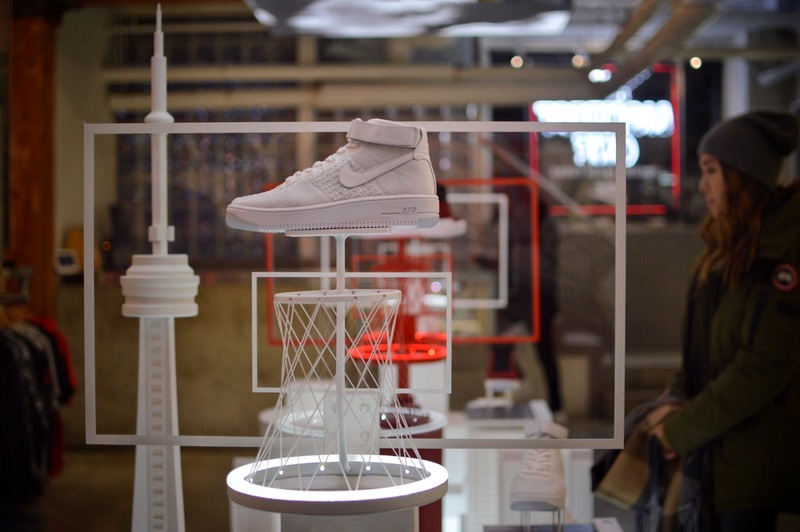 After chopping it up with the Canada Got Sole boys for a few, I decided to do a couple rounds around and there were a couple displays that caught my eyes. 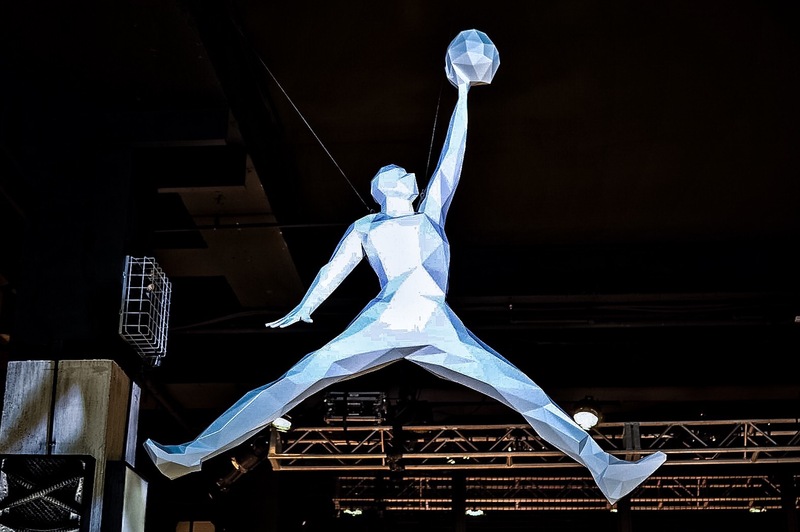 @JumpmanBostic was in the building with his amazing Basement of the Jordan’s collection and it was safe to say that it was the main attraction in terms of displays for the entire weekend. 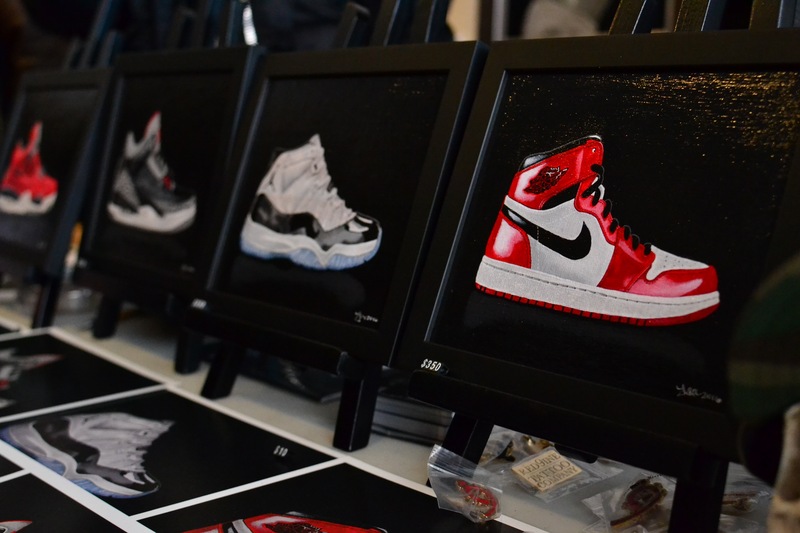 Other than the Basement of J’s, the other display that really caught my eyes belonged to @FlippinLaces with his table set-up as well as the depth of variety that he had on display. 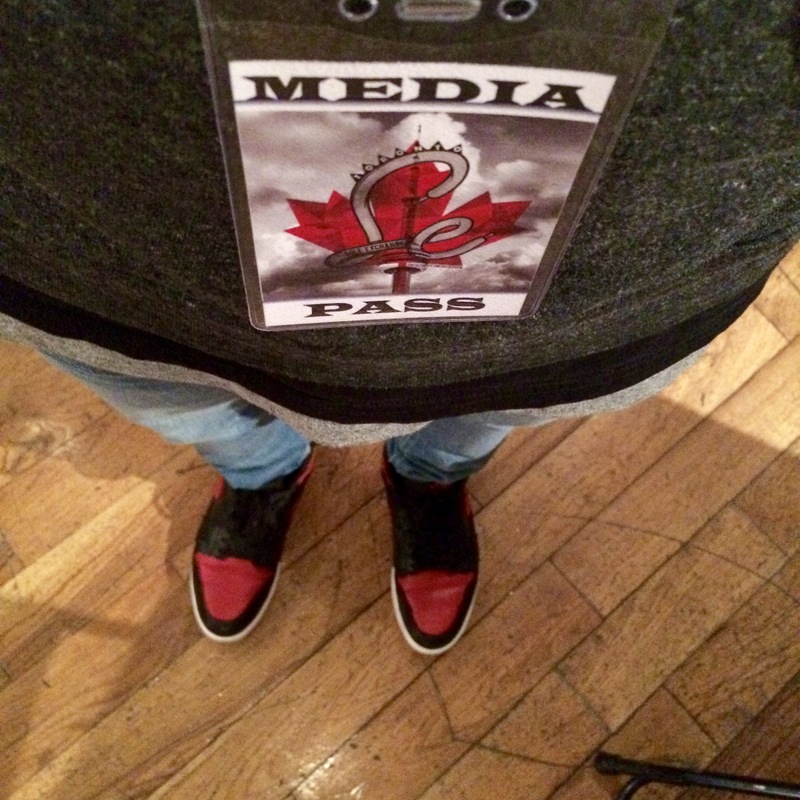 There was also a sneaker discussion panel hosted by Akil Augustine and it featured DJ Drama, @JumpmanBostic, @hello._.cookie & Canada Got Sole‘s own @jo_doooney. After the Sneaker Social, I proceeded to the ACC to go cheer for the hometown kid that I’ve had the pleasure of watching since he was a little grade 5 kid at Glen Shields, Andrew Wiggins. Shoutouts to the plug for the tickets to the Rising Stars Challenge as this might be the only time that Toronto hosts the All-Star weekend in my lifetime so I had to go to at least one event. As the players are being announced in the pre-game introductions, it was an amazing sight to see these Canadian guys getting love from the entire arena, not only Andrew but also Dwight Powell and Trey Lyles. The game was typical All-Star fashion with lots of highlight plays and when the game ended, to my surprise the NBA on TNT crew begins to set up directly in front of my section. 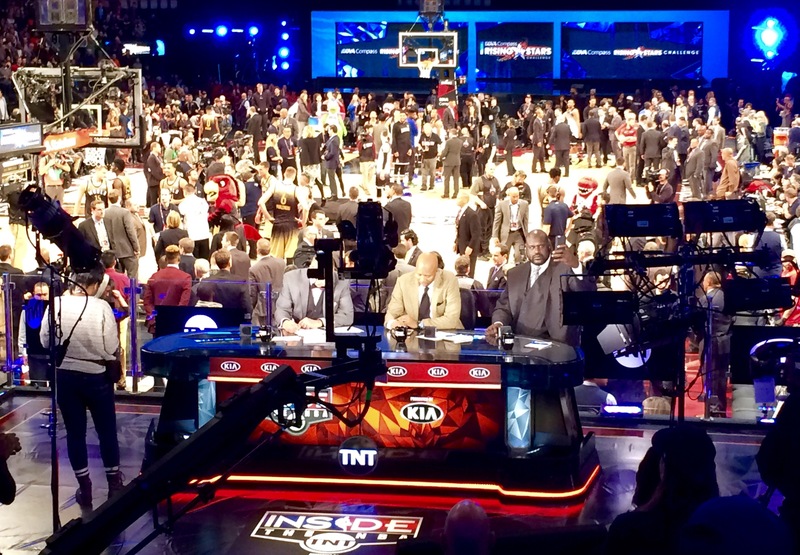 I’ve been watching NBA on TNT for a long time now and it was pretty cool to see Shaq, Ernie, Chuck & Kenny only a few feet away from me. I’m sitting in the Calgary International Airport, anxiously looking at my Instagram feed, it’s All Star Weekend in Toronto and my flight is delayed, a feeling of “I just missed everything” won’t leave my stomach as I sip on my second venti white chocolate mocha from the Starbucks right in front of my gate and then I hear a voice over the intercom “flight 676 to Toronto is full, we will be checking sizes of carry-ons because we’ll be low on space, we will gladly check your bags free of charge”, now I knew my Flüd x Mayor duffle was oversized before I ever left the house, that’s why I chose the rear of the plane when I checked in, so I’ll be seated with headphones in before they ever notice the lack of space, but I push my bag as far under my seat and put my backpack in front so no one else notices the size, knowing everyone is already looking at the dude hogging the plug-in, a hour or so later I make my nervous walk to the back of the plane, fingers crossed no one points my bag out, I’m on and in the air, finally. The wheels touchdown in the city coined The 6ix a few hours later and a few hours later than planned, it’s after 2am and I’m stressing out over what I missed. I take my phone off airplane mode as soon as we begin to taxi around the runway at Pearson, hoping my lateness hasn’t destroyed the night of the MTL Brag family Chris & Clo as they made the drive to Toronto earlier and were down to scoop me when I landed. 2 phone calls and a drive downtown to 306 Yonge and somehow I’m walking past a line like I’ve never seen, there must’ve been 500 people crammed into bank-style zig zag lines, and I’m walking by more than half of them, I find my man who I will refer to as “The Plug” for the sake of the people behind me who didn’t get a pair, I intro Chris and Clo, and he introduces a couple of his boys who I later found out he got in as well, and it was done, I was getting the Jordan x OVO X’s, what a time to be alive. Once they stared letting us inside 23 people at a time it was 6:23am, I was pretty much in the fever and sweat stage of the walking dead, I stepped inside to be greeted by an employee and the rest is kind of a blur, I’m not as young as I used to be, and the lack of sleep took away from my in-store experience, but I tried to take-in as much as I could of Jordan’s first stand alone store. Huge thank you to the man responsible for me landing the weekends hottest release, You the real MVP. Making it back to Sauga City for the official Brag Slumber Party is when I realized it was Saturday morning and once we started discussing the events of the night before, or morning of a few hours ago depending how you look at it, we knew there would be no sleeping. Round of showers and wardrobe changes and we were off for coffee, I’ll be honest, things get hazy from here, zombie mode on 100. I was running through the 6ix with my woes, trying to hit each shop and pop up we crossed. 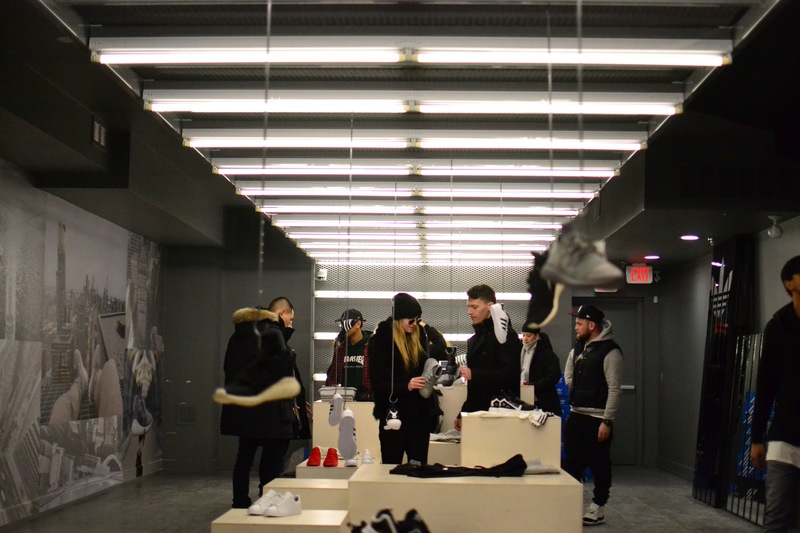 Passing by the OVO flagship we didn’t even slow down when we saw the kids piled up waiting to get through the doors in a -30 climate, couple turns later Chris, Clo and I were walking into Jonathan&Olivia to check out the pop up @adidas_gallery had showcasing a portion his insane personal collection, 1/100’s, Made in Canada’s, and any other uber rare adidas were found around the boutique, from kicks older than our team, to pairs that dropped the week before and everything in between. The next stop was Duffys for some eats and coffee, more coffee, I’m charged up. 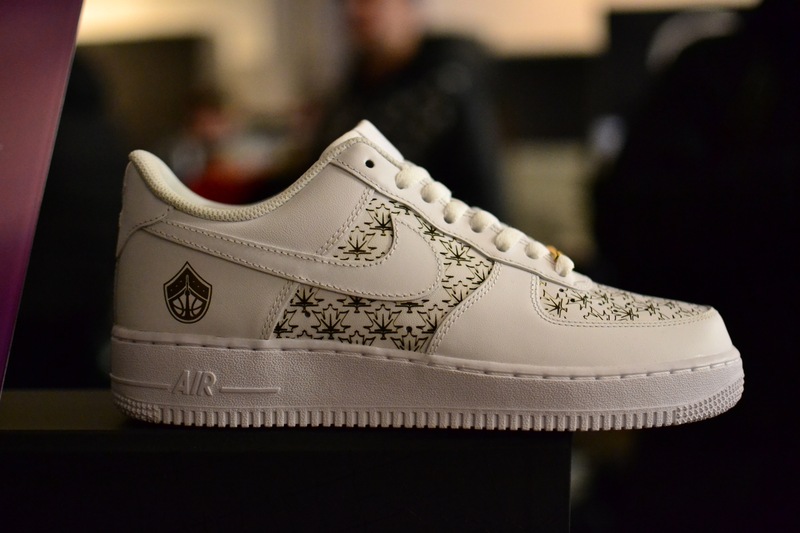 Sole Exchange, as soon as you hit the block you knew where to go, dudes coming out of cars and passing from each of the 2 rooms, all carrying sneakers and sneaker boxes, first step inside and there was Christian from SneakerTalkTO and also a fellow Brag Affair writer, and as I shake his hand I notice the Canada Got Sole table was right next to his, it’s always good to have familiar faces greeting you in unfamiliar spaces, nothing but love to the the whole CGS team, our sole brothas. 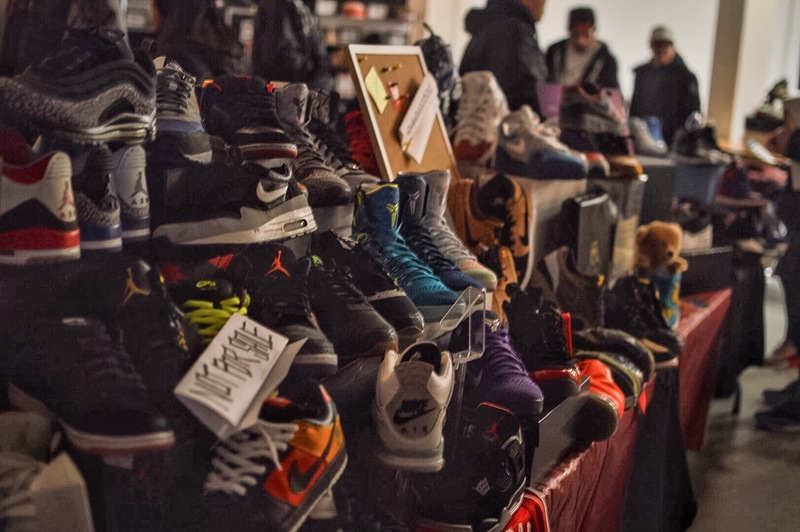 Throughout the event there was any and everything you could ask for, Nike yeezys, adidas yeezys, Air Mags, Jumpman, Jumpman, Jumpman, mad Ewing Athletics, Reebok this, Galaxy that, and if you already had the shoes, you could grab a tee and hat to match from various venders, you already have the whole fit? Then grab a painting of it, I’m telling you ANY and EVERYTHING. I grabbed a can of the new to Canada Sneakerheadz protective spray, then I realized I can’t bring an aerosol can in my carry on and they offered to ship, which reminds me to check my mail (look out for the test results soon haha). 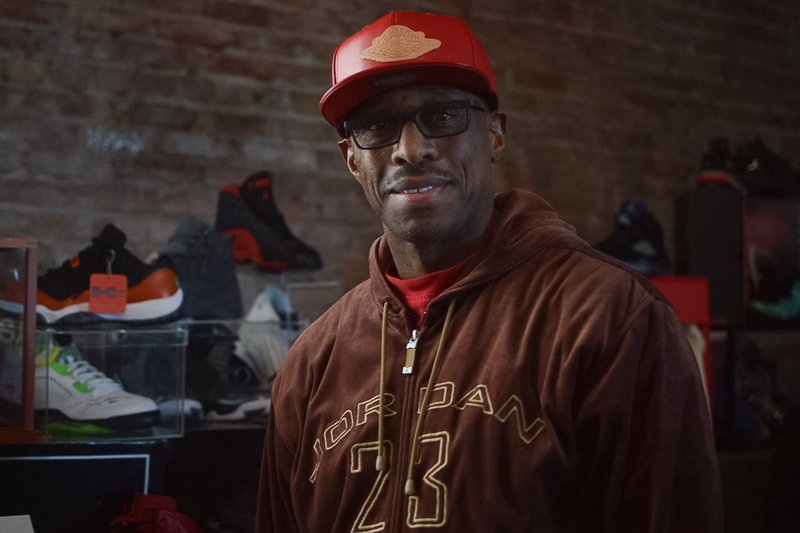 Among all the bangers you could ever want in your collection, the street wear and custom kicks the city has, was an out of towner I’ve been checking for years, Mr. #BasementoftheJordans himself @jumpmanbostic. Honestly the amount of photos and videos I’ve seen of his meeting him was almost like I already knew the man haha, was good to actually shake his hand and see some of his pairs in person, not to mention getting one of my favourite portraits I’ve taken. After we made our rounds we left the Ultimate Sneaker Show to try and fit some more shops into our schedule, Exclucity had an upstairs opened that was fashioned into a clean adidas spot with the entire adidas All Star collection displayed among other models, walls done with adidas branding on a black map of Toronto as well as the 3 stripes products photographed around the city. I tried to sneak into a in-store Yeezy raffle but I was unsuccessful, shoutout to the homegirl at the front door though. 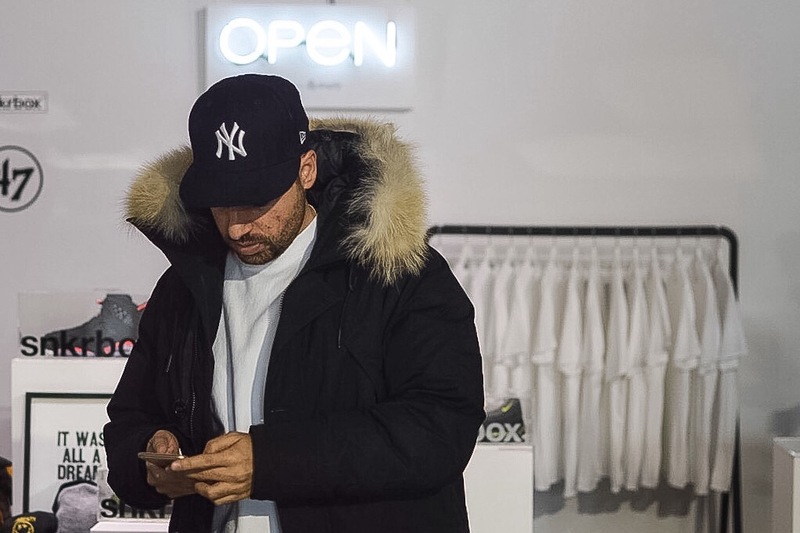 Braving the cold Jonathan took us 3 out-of-towners on a quick couple block walk to The Get Fresh Co. Home to 3 pop ups, the luxurious Don C which my pockets wouldn’t allow me to even look at, Mitchell & Ness and up stairs was New Regime and that’s where we found Fabolous scoping out the Montreal based brands gear. 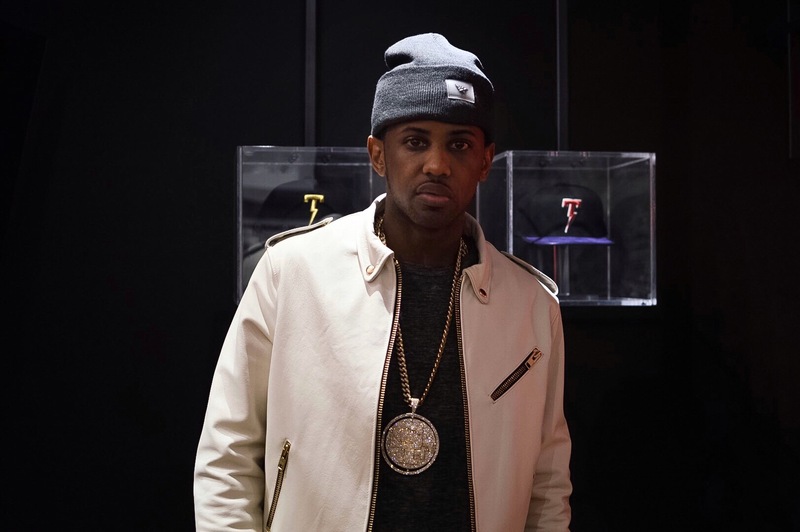 Fab was hitting pics with fans with his SF chain blinging, and when I had the chance I had to run up on the rapper for a portrait, YESS ! 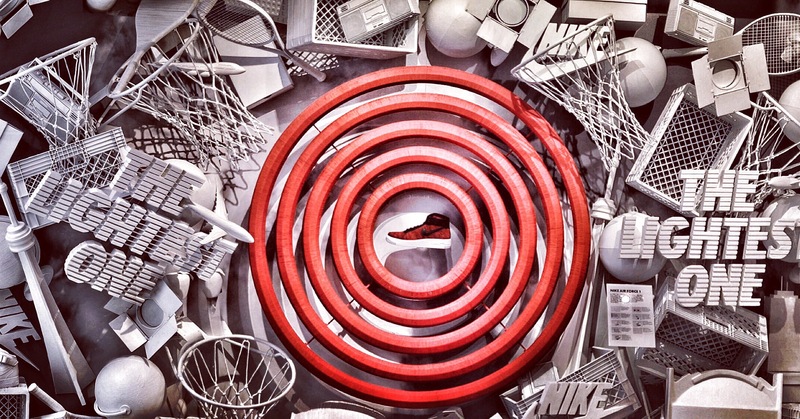 Livestock was next and was set up with Nike, flyknit, cityscapes and an awesome History of Air Force 1 display, it was too much to even describe, hoops, rackets, sneakers, dressed in white, in my opinion the illest set up I saw in any of the pop ups around the dot. Shoutout adrift, no pop up but always a cool spot. And then the epic skills comp to wrap up the night. 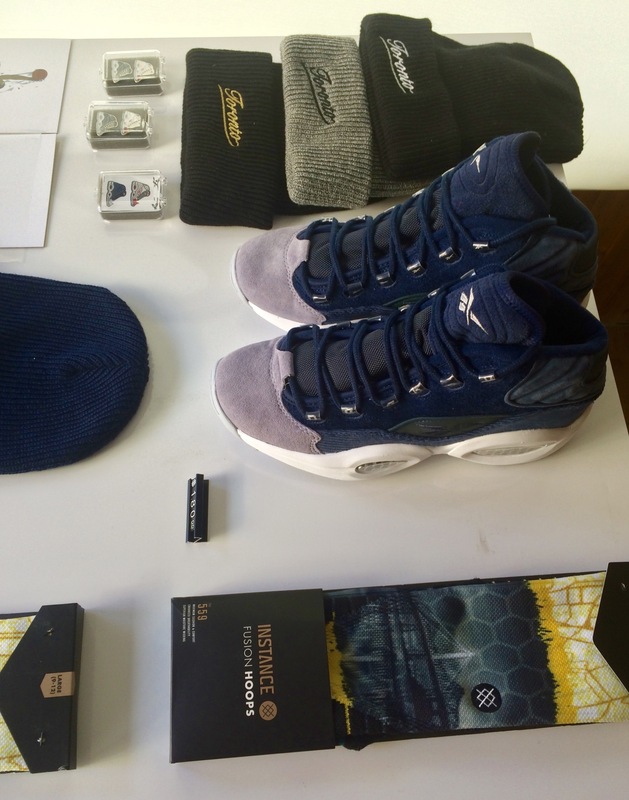 Saturday morning I had to swing by Capsule Toronto to check out quite possibly the most underrated sneaker release of All-Star Weekend in their collaboration with Reebok on the Question “Wind Chill”. The release happened on Friday so I knew the likeliness of my size being available was low but I went anyways to check out the shoes in person. Unfortunately, my size was not available but the shoes look and feel amazing in person so if you were lucky enough to get your pair, congratulations on owning one of 600 worldwide pairs! 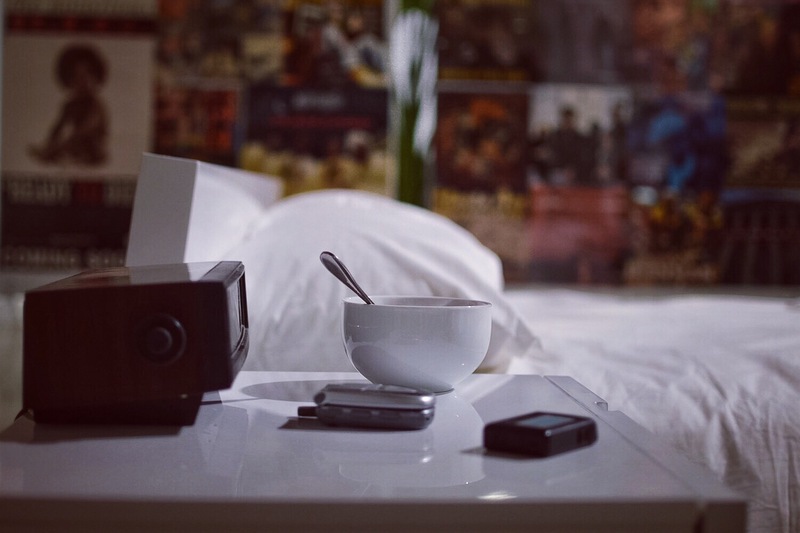 Saturday seemed like it was the coldest day of the year. 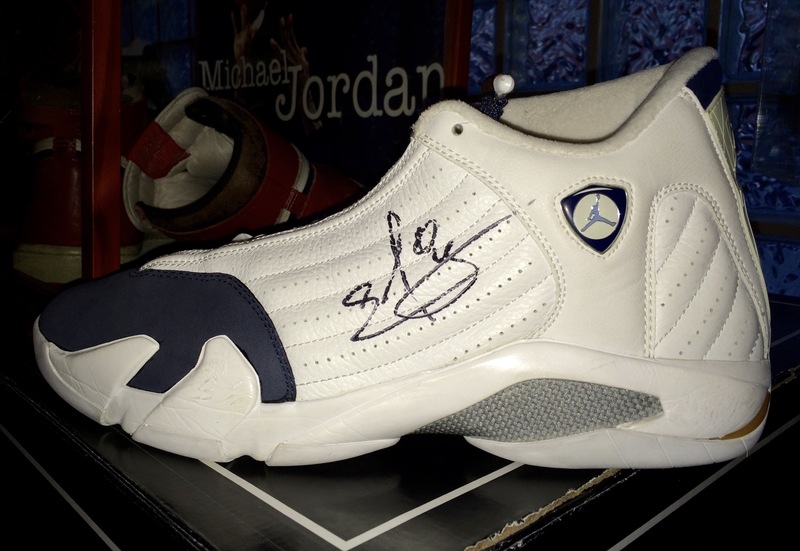 First stop was a easy pick up of WC4 at a footlocker which had an overstock of them. We then headed over to Duff’s Famous Wings to fuel up our systems. 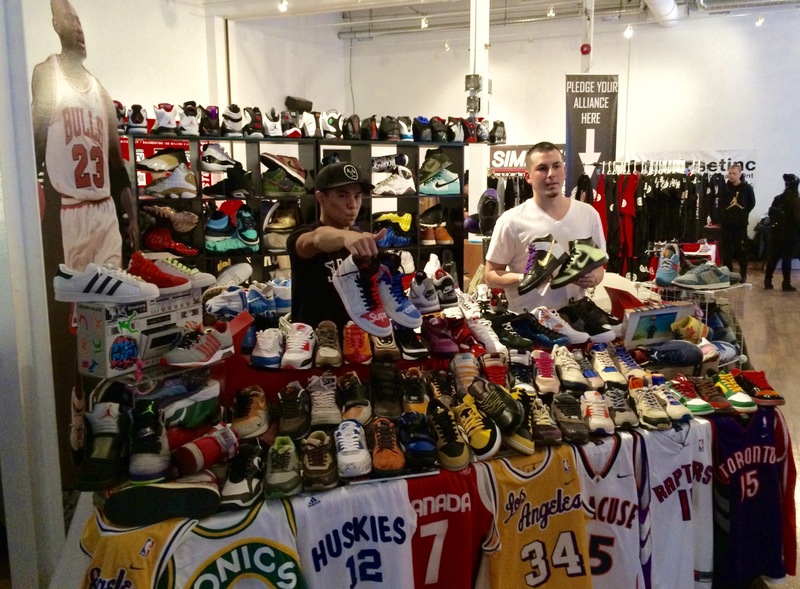 Before hitting up Soleexcahnge we decided to check out some shops which were in the area. OVO had two line ups going on so we just continued our way to Jonathan+Olivia. 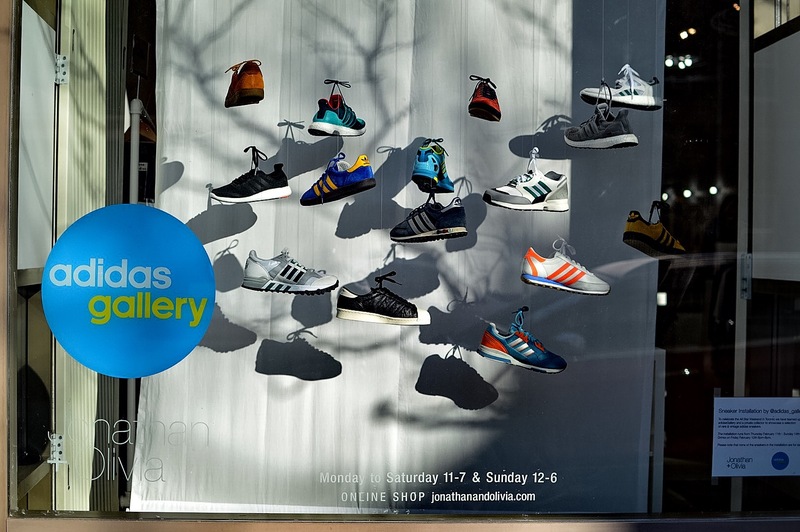 They had a display of a fraction of @adidas_gallery ‘s collection. It was great to see some Canadian pieces. 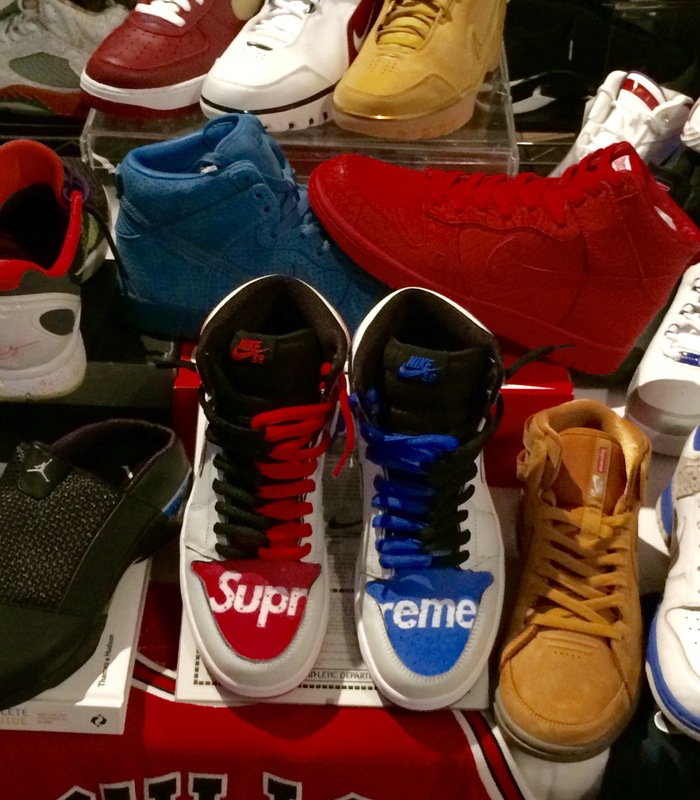 The Ultimate Sneaker Show was the next stop. 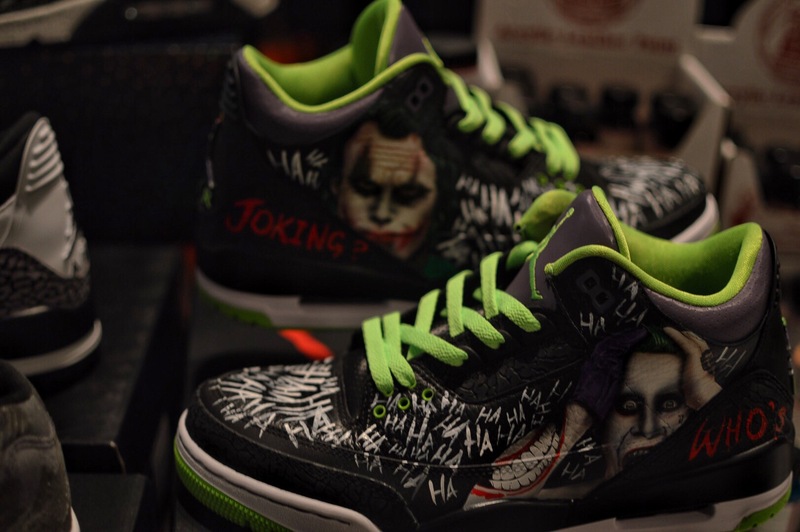 Lots of shoes to see and great people to meet. Plenty of tables stood out. 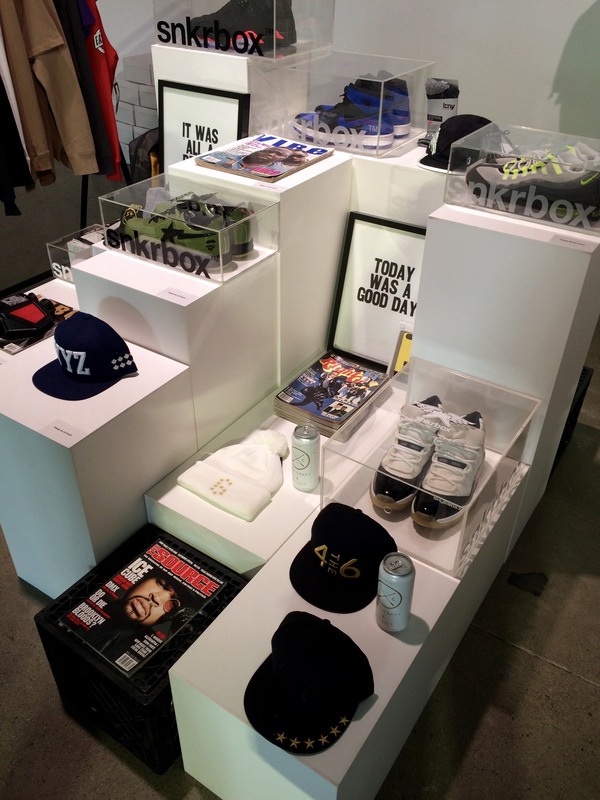 There was lots of dope gear and products. 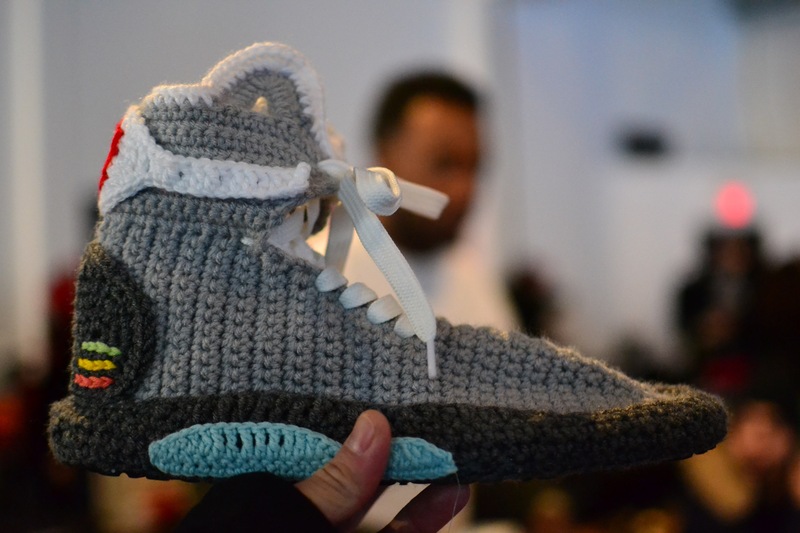 I’m definitely looking forward to the next sole exchange. With time on our side we continued to hit up the rest of the stores. 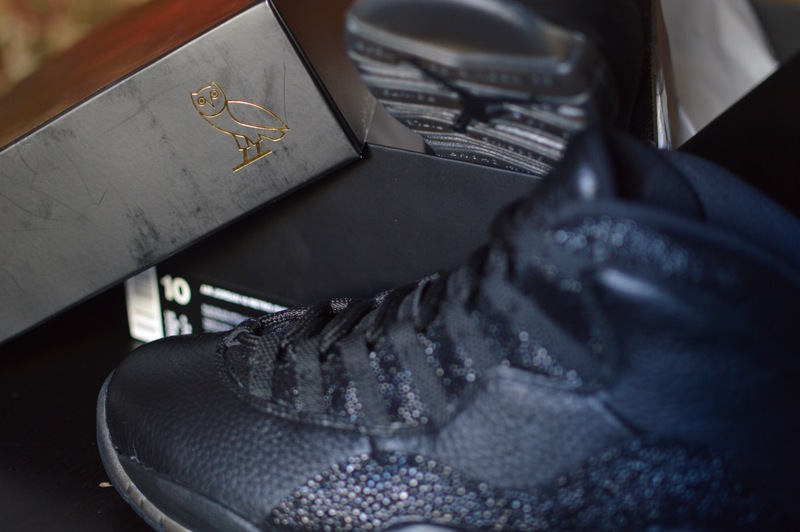 OVO- still had double line action going on. It wasn’t meant to be on this visit. 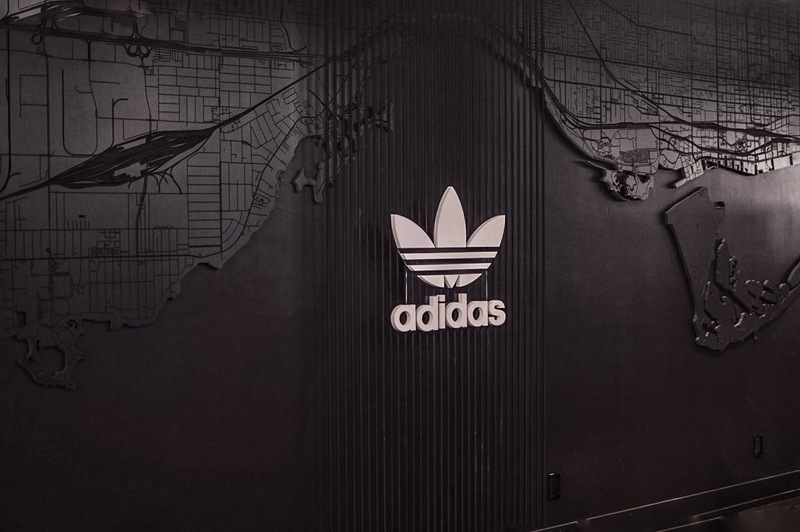 Exclucity – the top floor’s display and design of adidas original was really nice to see. * – (my highlight of the trip) seeing Kalby move in on Fabolous to grab a portrait shot. No better way to end Saturday with in my opinion the most entertaining skills competition ever with some biscuits and chicken. Sunday, it was our own @justkalby‘s last full day in the city from Calgary so we had to send him off the right way with the “Take Care” event with two amazing business individuals and speakers, Bryan Espiritu and Ronnie Fieg. 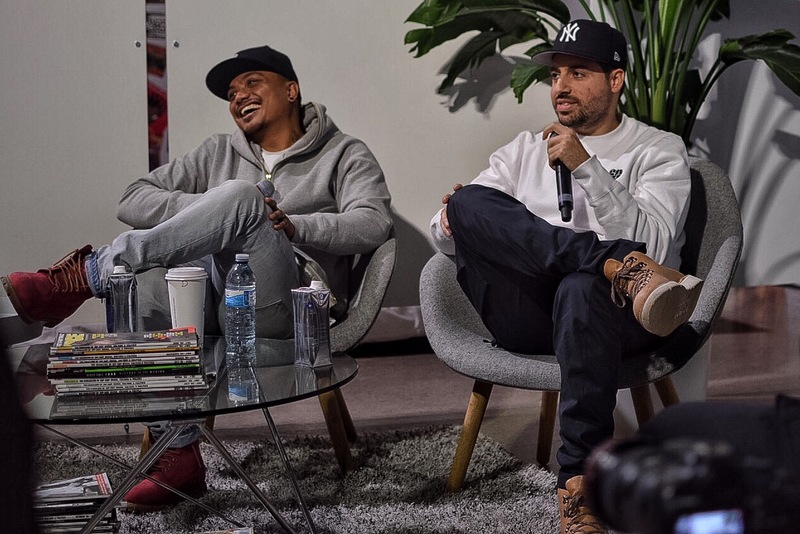 We Are Open is a speaker series powered by Shopify that feature influencers and industry leaders and we were lucky to hear from the creators of two amazing brands, The Legends League & KITH. 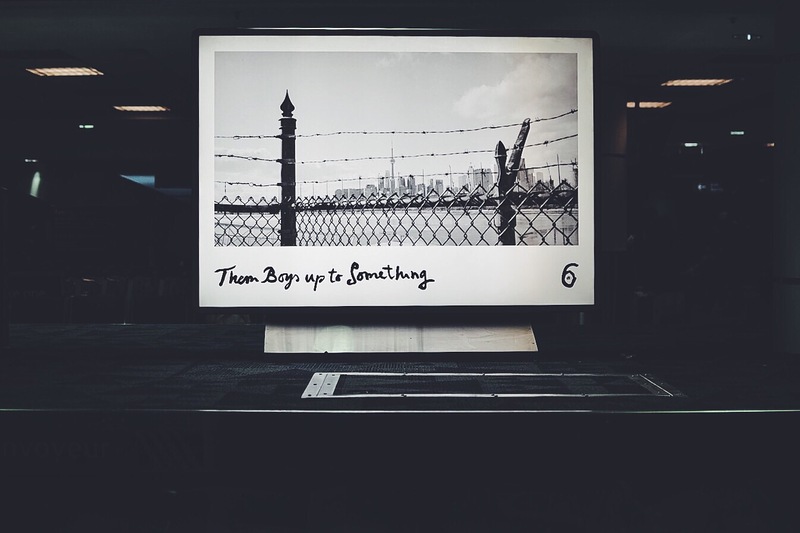 If you’re from Toronto and you’re into the streetwear scene, you most likely have heard of Bryan Espiritu. Whether you heard of him recently due to his sudden rise to popularity of his brand, The Legends League, or you’ve been a follower of him since his his brand was at its infancy. 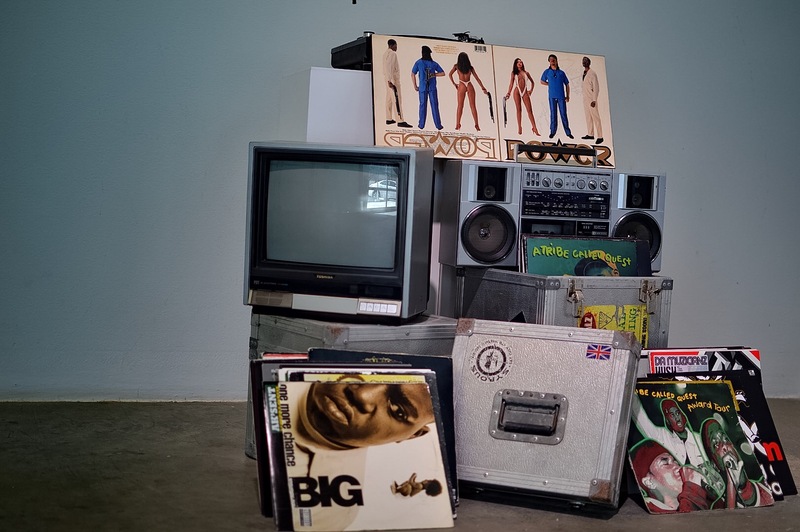 Personally, in high school the two local brands that I loved the most were Zaz! and The Legends League, or ideaLL to those who remember. I was the kid that was hyped when I heard that a big time artist like Trey Songz decided to do a song with a kid from Toronto and when I first hear Replacement Girl, I was a fan. After hearing the song, I saw pictures and videos of their performance and they were wearing the T O </3 U (Toronto Doesn’t Love You) sweatshirts and I instantly said “That’s ill.” You know the story from there, I’ve been a fan since of the brand and Bryan himself as an artist, especially loving that piece he did of a pregnant Amber Rose. The talk was amazing with Bryan and Ronnie offering insights on the evolution of their respective brands as well as the evolution of themselves throughout this entire journey. Both speakers were nice enough to stick around after the talk, take additional photos as well as answer any more questions that anyone had. This was truly a great experience with food by 416 Snack Bar and drinks by Hennessy & Belvedere and amazing company. 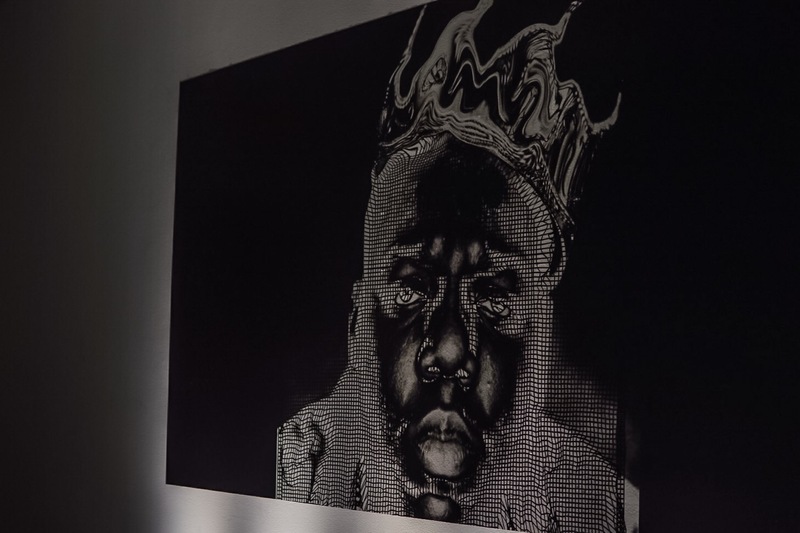 Thank you again to Naskademini for the amazing curation of the exhibit, loved getting the opportunity to talk to you at the event. 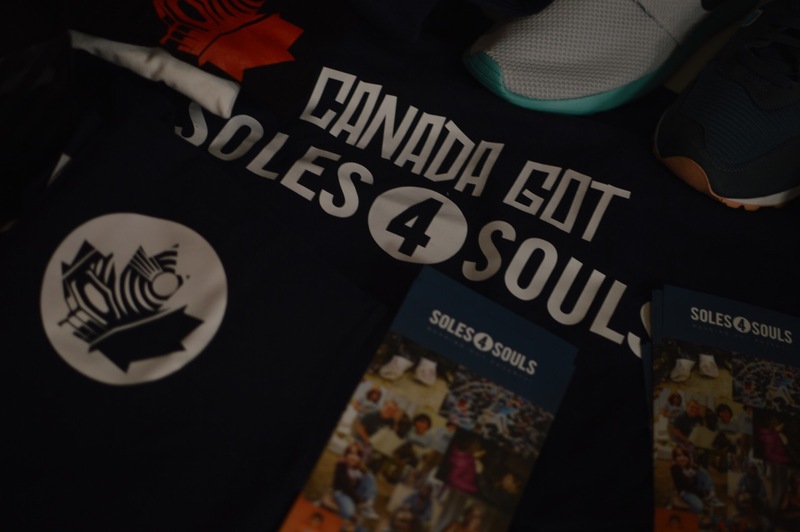 Sunday started with a trip to the Starbucks where I left the MTLiens to link with the Jonathan and go to Open: Take Care, with Speakers Bryan Espiritu from Toronto’s own Legends League and trainer/runner God Ronnie Fieg. Two entrepreneurs in a great space. I’m a huge fan of Mr. Fiegs work, and coming from the west coast I couldn’t pass up this chance to see the NYC native behind Kith and some of the best sneaker collabs of all time, not to mention boots, hats and his own clothing line that now includes women and children. “Is that Ronnie?” Jonathan pointed, before anyone else had arrived and I ran over to meet the man, of course I asked for a photo and after he scoped my CIty Never Sleeps 998’s he shook my hand and obliged (he was then distracted by organizers which actually made for a better photo). This was the icing on my once in a lifetime weekend, the guy is gold, he literally made a cereal bar that is destined for greatness, so seeing him in person, having the chance to get some photos, and hear him speak on how he went from stocking shelves at David Z to having ‘heads line up around the block of his own shops in blizzards just to buy his latest creation was a huge highlight, not only of my weekend, but also in my love for all things sneakers. After the event I thanked Mr.Fieg for tweeting my photo, chopped it up with Cid from MTL for a minute and ended up dipping out with a friend I was stoked to finally meet in person Celso and his lady Dee. Jonathan and I jumped in their whip and bounced for a the last weekend dinner at a chill pizza/pasta joint Hey Lucy, discussing everything under the moon before we called it a night so the love birds could enjoy a romantic evening they had planned for V-Day.